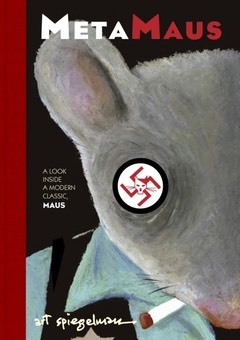 Pantheon's MetaMaus: A Look Inside a Modern Classic is a kind of "making of" Art Spiegelman's Pulitzer Prize-winning autobiographical comic memoir, Maus. The 300-page full-color hardback and companion DVD abound with source materials—interviews with the author, photographs, letters, art—presented in parallel with a conversation between editor Hillary Chute and Spiegelman. The title transcends footnote: MetaMaus is a work of criticism in itself, providing not only notes on process and sources, but considering the entirety of a family, and the thinking of influences of an artist now and at the time the work was created.